The main purpose of this blog is to show you how to implement a Contact Quick view without CDS by using only SEGW and annotations. Nowadays there is plenty of documentations and blogs regarding annotations and CDS, which means you need customer with HANA or at least SAP_BASIS 7.4 (which authorize CDS implementation). What I want to show is how to do Smart Template without CDS by using the transaction SEGW to create the correct Data Model. We will focus on the two entities : SOHeader and SH_Partners. The purpose of this relation is to get the detail of the SoldTo party from the Sales order. I will let you do the code to implement the relation inside the ZCL_*****_DPC_EXT class and in the respective methods. 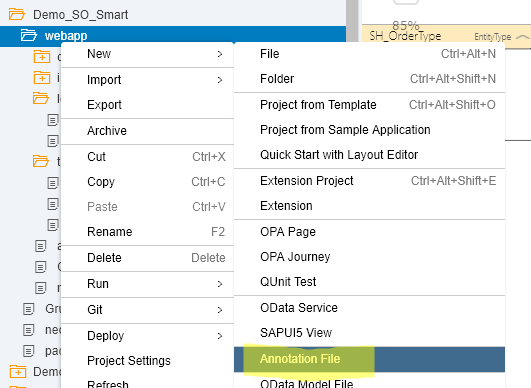 In the front end part, you have to create a SAP Fiori List Report application with the Smart template provided by the SAP Web IDE. 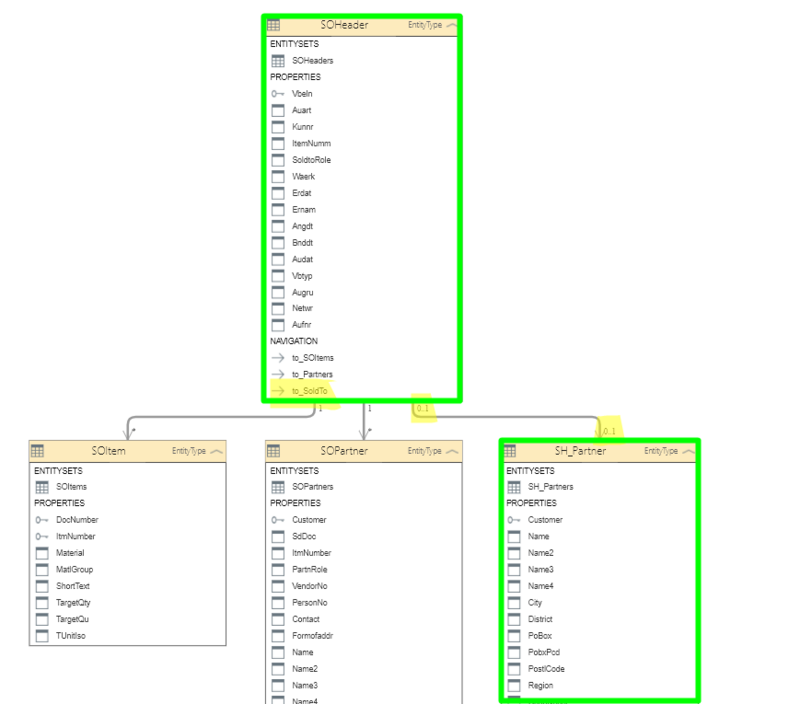 You should point the application to the correct OData service, and then create an annotation. If you have created an SEGW project and if you do not implement any annotations in the MPC class, then the smart template should be created without any annotation file. Take a look at the last record from the UI.LineItem collection. We have used an UI.DataFieldForAnnotation which have a label (for the column title) and a target for the Contact Quick View. Note: When doing this with the Annotation editor, the association to_SoldTo wasn’t visible, so I do it in the XML editor by myself. If you use the annotation editor you will be able to add much more properties in the card, but the most inport thing here is to have the fn property, otherwise, you will have an empty column. The lis report use the fn property to show it up in the column. For the Fiori Element, it is not mandatory to use CDS view to do what we want. However some restriction exist with that method (without CDS, such as total and sub-total), but at least, we can play with the smart template with SEGW and annotation file “easily” and have a maximum features on it. I already know that option, but I think it is much more maintainable with annotation file in UI part than using code in MPC. I use MPC for sap semantics annotations (because we have no choice).